We the Ahwazi people still experiencing racist act by the Iranian regime. 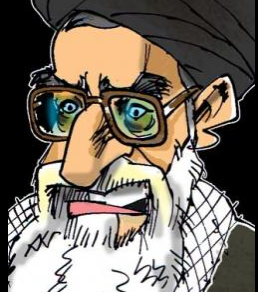 The occupation regime of Iran continues to insult the non-Persian nations. The racist regime of Iran has based its existence on denying the identity of other non-Persian nations. Over the past hundred years, the Fascist invaders have been struggling with the policy of systematic assimilation for the transformation of the identity of non-Persian nations in the political geography and imprisonment of non-Persian people in so called Iran and has therefore faced the resistance of non-Persian nations. According to the rules of screening for the film, they believe that the film “Red Tail” contains insults, ridicule and racial hatred towards the Arab people in Ahwaz region and Iran. Like all other scenarios, this film “Red Tail” is an example of insulting the Ahwazi Arabs. We strongly condemned and inviting all non-Persian nations to fight solidly against this racist act. 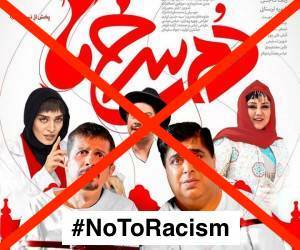 We as the non-Persian nations under occupation of Iranian-Persian racist regime, condemn systematic assaults and insults on our peoples. We, Arabs of Al Ahwaz, Turks, South Azerbaijan, Kurds, Baluch of Western Baluchistan, Turkmens of South Turkmenistan, and other non-Persian people under Iranian occupation, want to express our strong solidarity and unity in the face of the brutal dictator regime of mullas. We are gathering together to expose Iranian fascist regime and its treatment of non-Persian peoples. We are gathering together to condemn Iranian government’s brazen attacks on South Azerbaijani Turks, Kurds and Arabs of Al Ahwaz and other non-Persian nations. We are gathering together to protest Iran’s illegal occupation of non-Persian lands, arrests, tortures, and killings of our human rights and political activists such as three Kurdish political prisoners, Ramin Hossein Panahi, Zaniar Muradi and Lughman Muradi.